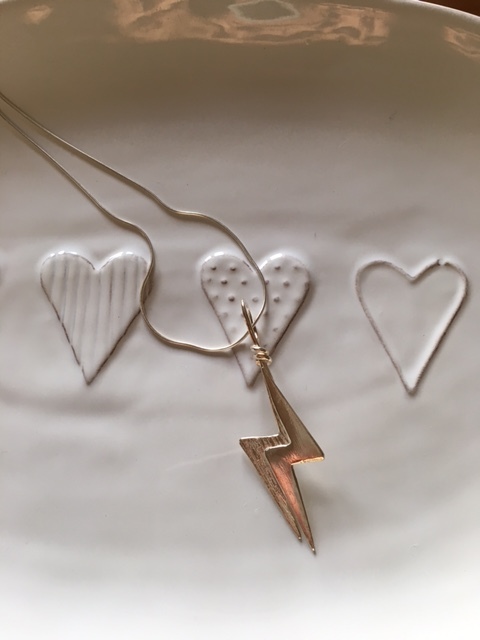 Handmade double lightning bolt - one bolt is textured and one plain and polished. This sterling silver pendant is supplied on a 32 inch (82 cms) silver snake chain. The handmade hanging loop is large enough to easily change the chain should you wish to wear the pendant with a shorter chain. The pendant measures approximately 7cms in length by 2.25cms width. Hallmarked with my makers mark by the London Assay Office.